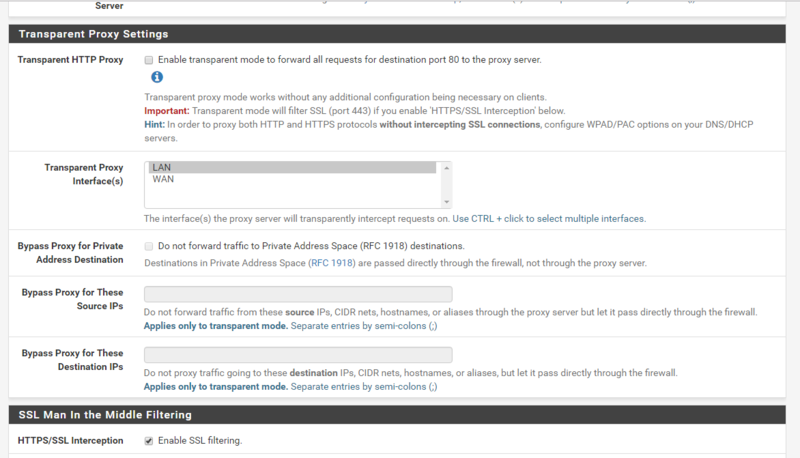 This is a short write-up of how I got pfSense 2.3 and 2.4-Beta to act as an Proxy filter for ssl and https traffic without the needs of installing or configuring any client side settings or certificates, all configurations are done on the pfSense Firewall itself. 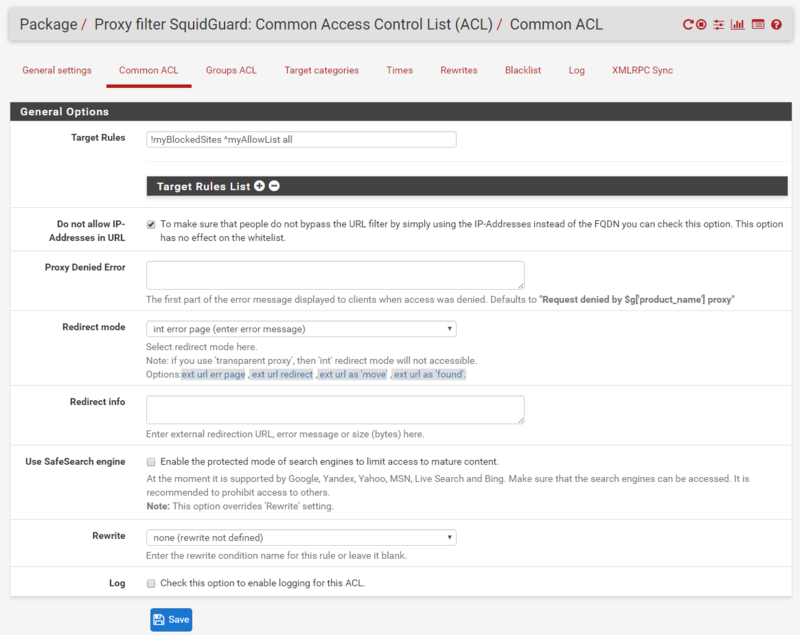 This is probably the part that is most confusing for people and why their setups have failed, Squid need to have a CA assigned to it so that it is able to decrypt parts of the HTTPS header so that it can determine what to do whit that traffic, otherwise all traffic is passed. 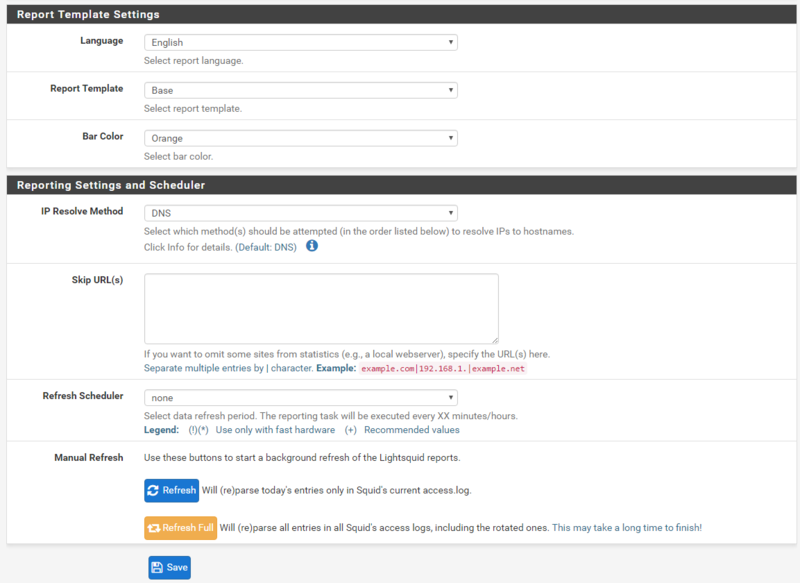 Then save and quit (to save and quit vi editor use :wq!). 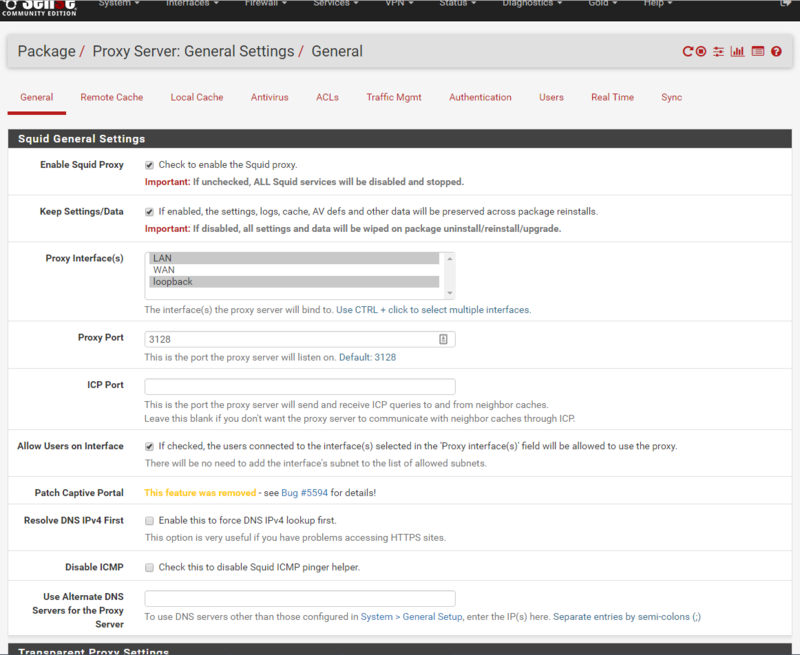 CompanyName :IT-Monkey - Name of your company or business, "make something up if youâ€™re a home user"
If both are there then you are ready to download them and exit the shell environment and continue to the GUI of pfSense, if not you need to look over any error or try again. 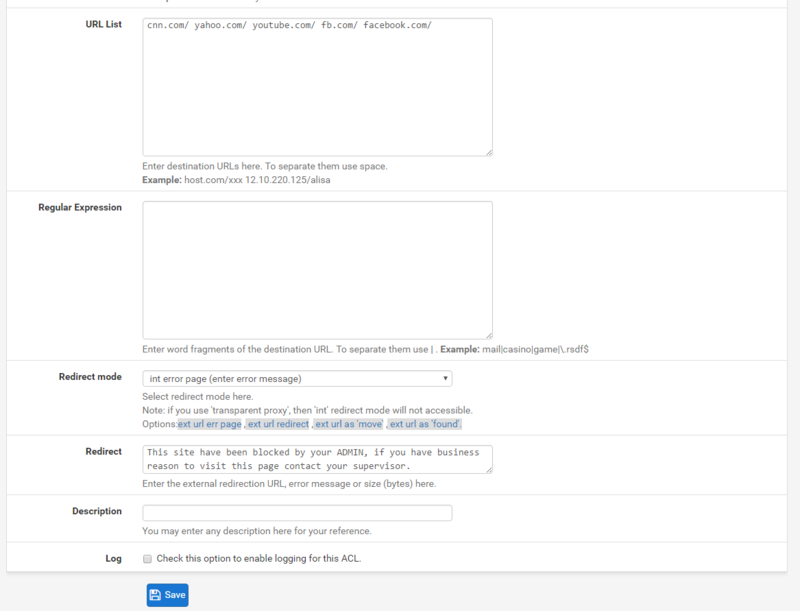 In the download box, this is somewhat slower to navigate but works just fine. 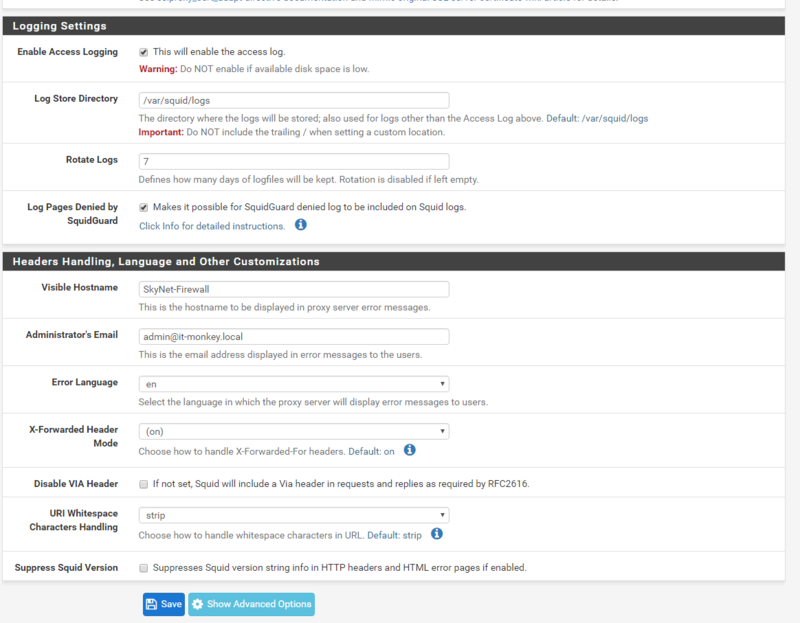 Now as you have these files on your desktop or computer you need to open them in a text editor, I prefer Notepad++ as itâ€™s able to adjust the formatting layout of the text but any text editor will work as you will need to copy paste the information in these files to fields in the pfSense GUI. 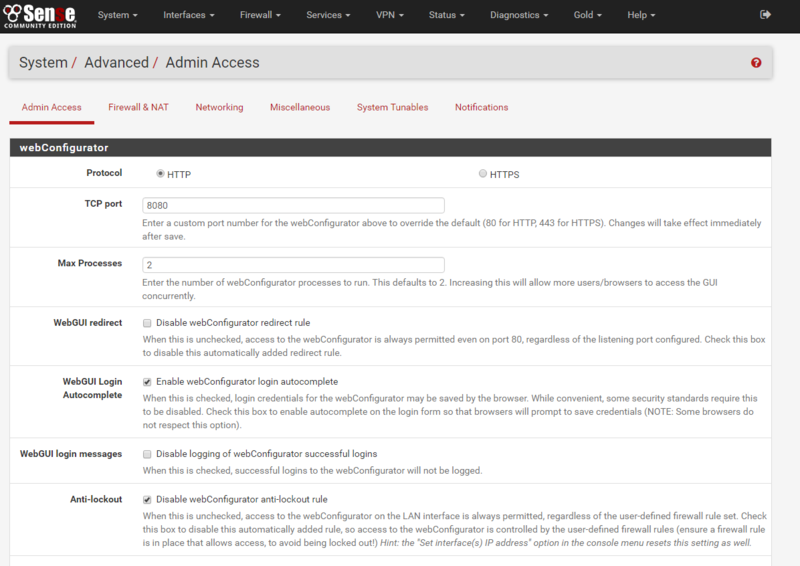 now you should see your SquidCA (rootCA) populated under System -> Cert. 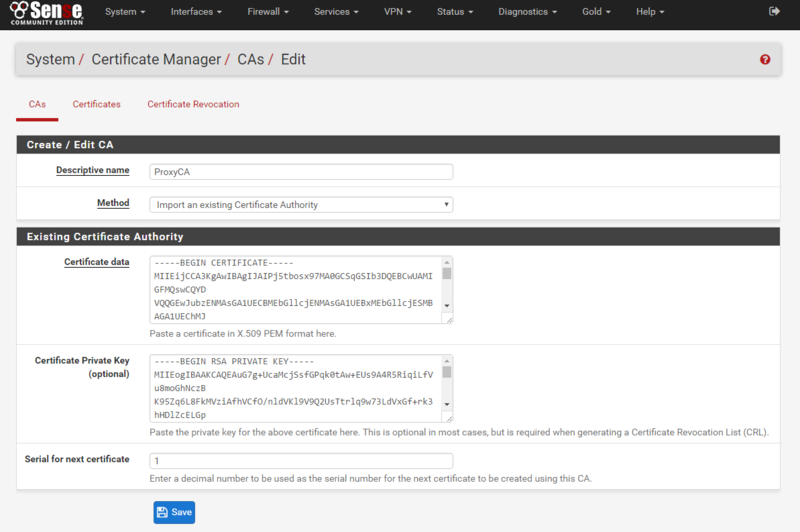 Manager -> CA's whit all the info you provided in the shell prompt and you are done whit Step 1. 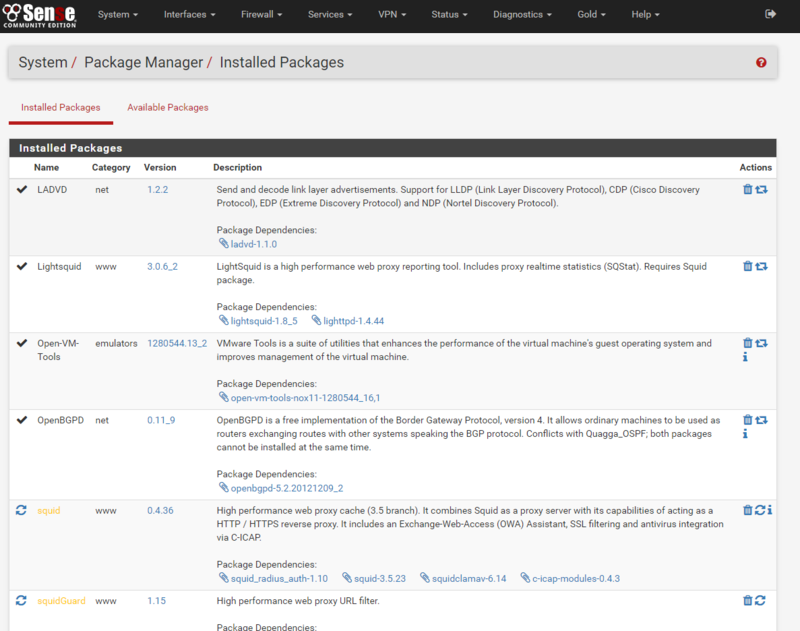 When installation is done you are done whit step 2. 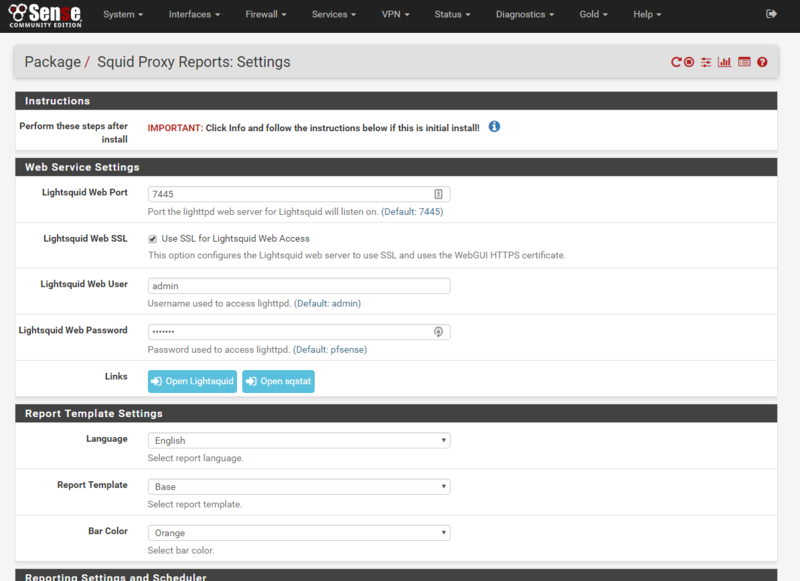 Now we are going to setup the Squid service to handle the all the HTTP and HTTPS traffic for our clients, but before we can start the configurations Squid have an little bug where it will not save any of your settings before the Local Cache values are set so navigate to Services -> Squid Proxy Server -> Local Cache then set whatever options you like or scroll down to the bottom and hit save. 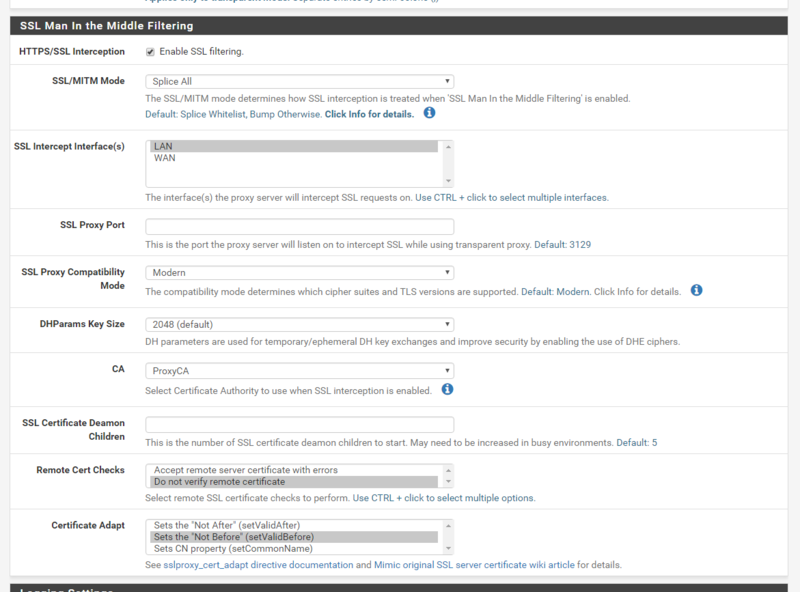 SSL/MITM Mode: SPLICE ALL <- THIS IS AN IMPORTANT SETTING, IF SETT WRONG IT WILL NOT WORK. 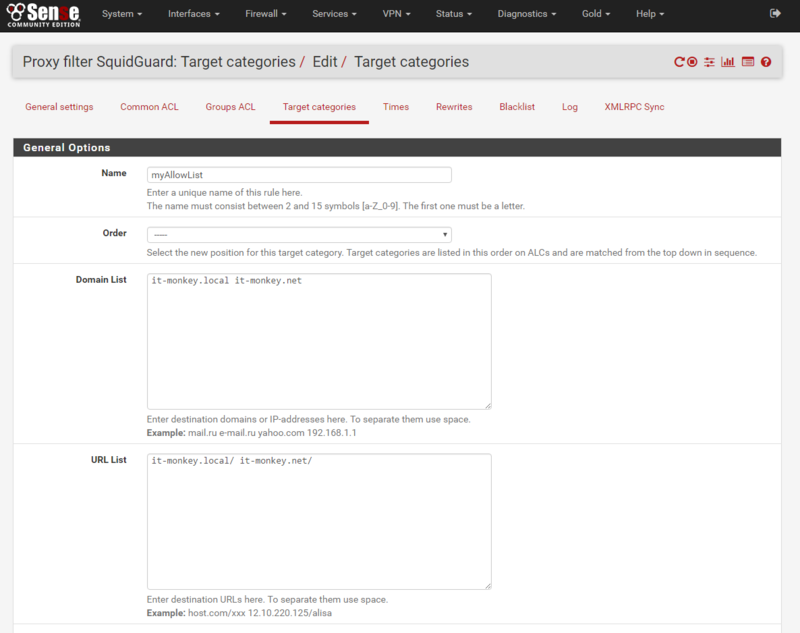 CA: SquidCA <- This is the rootCA you created in Step 1. 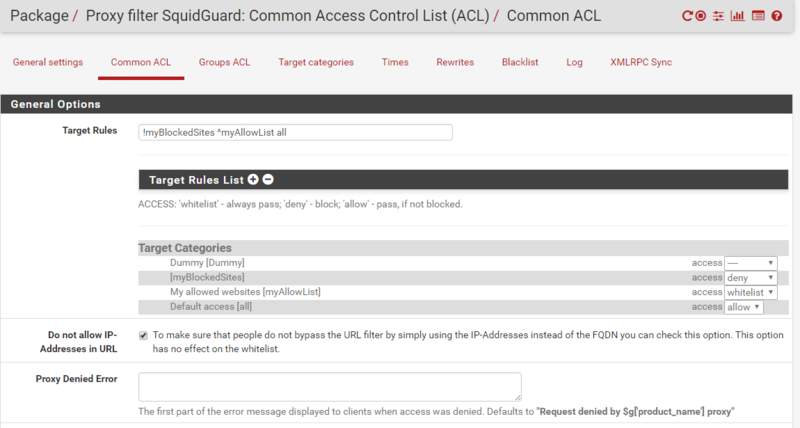 This is where you define your ACL's and Blacklist, I do not use any pre-defined blacklist in this guide as I believe you get better control when you set it up manually from scratch, I am going to use Facebook and YouTube as primary targets to block as these are the most requested sites to be blocked by my clients, but this will work for any sites running on HTTP and HTTPS. 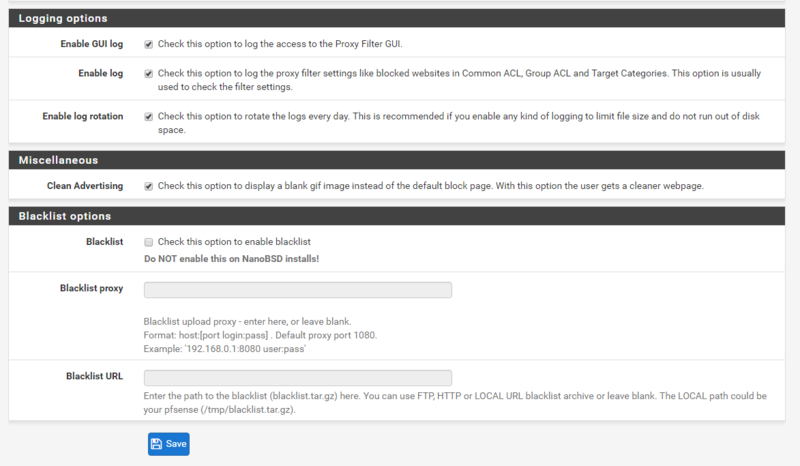 Redirect: these sites have been blocked by your ADMIN, if you have business reason to visit this page contact your supervisor.
" 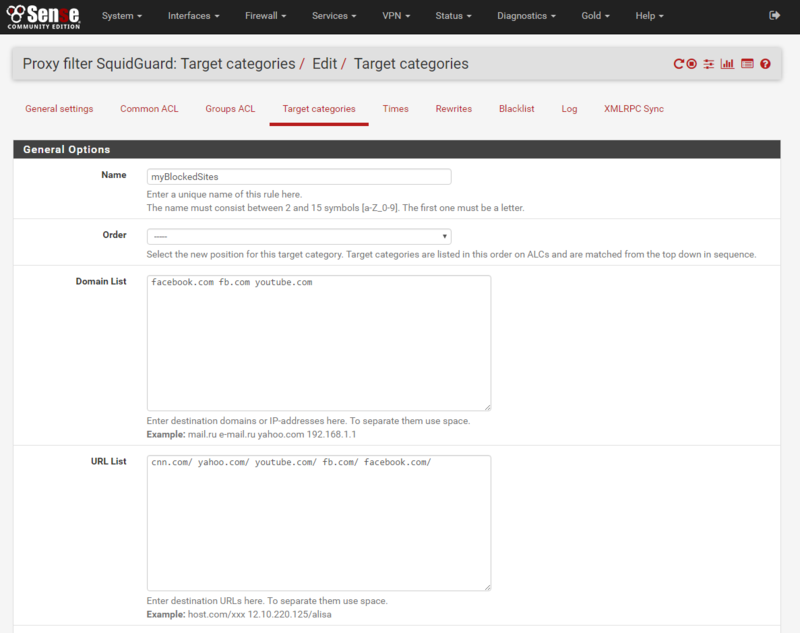 Important: Please set up at least one category on the 'Target Categories' tab before enabling. 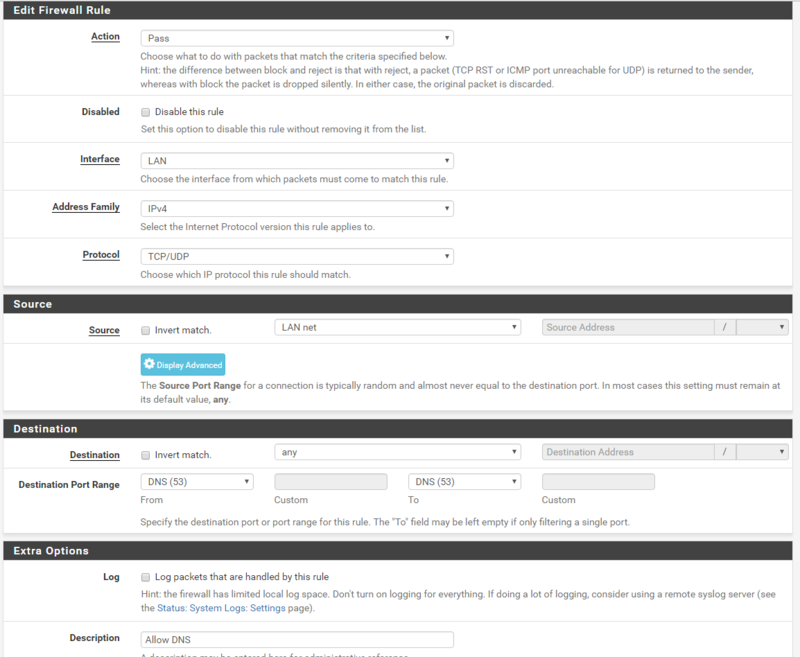 The Save button at the bottom of this page must be clicked to save configuration changes. 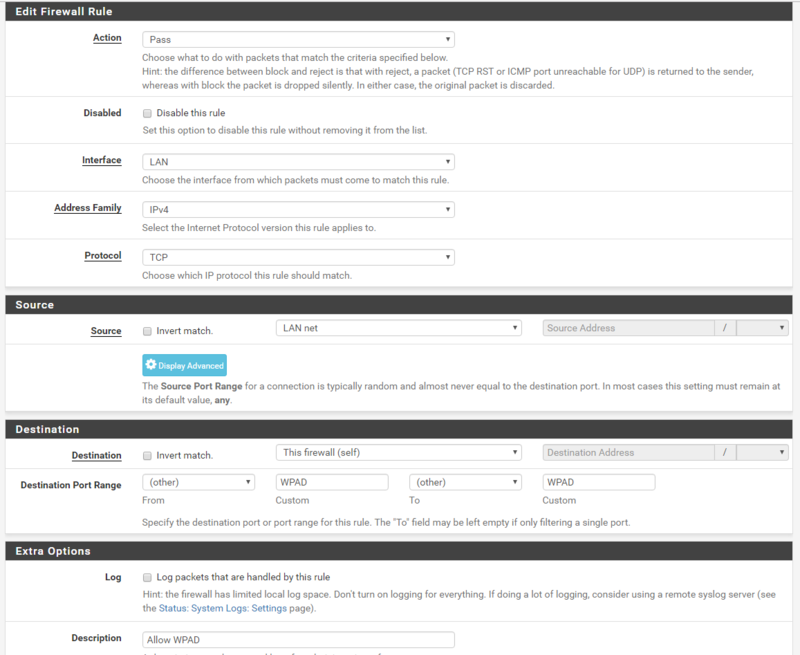 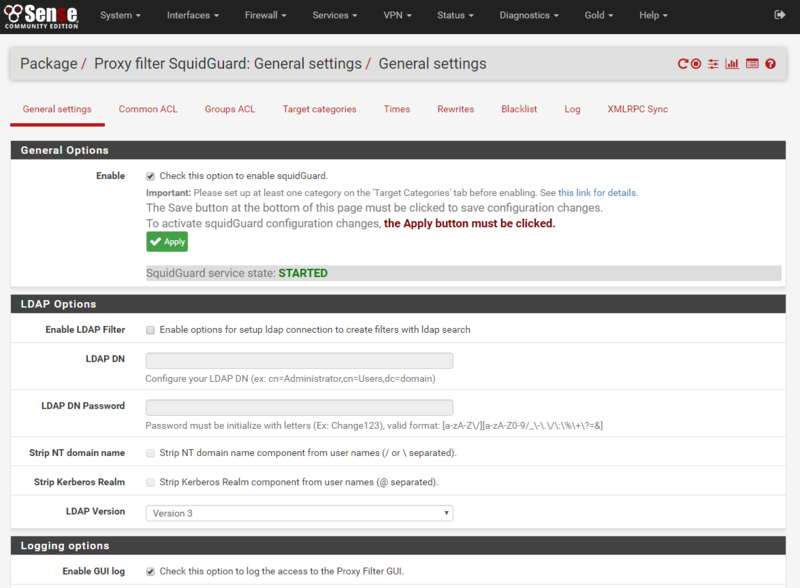 To activate SquidGuard configuration changes, the Apply button must be clicked. " 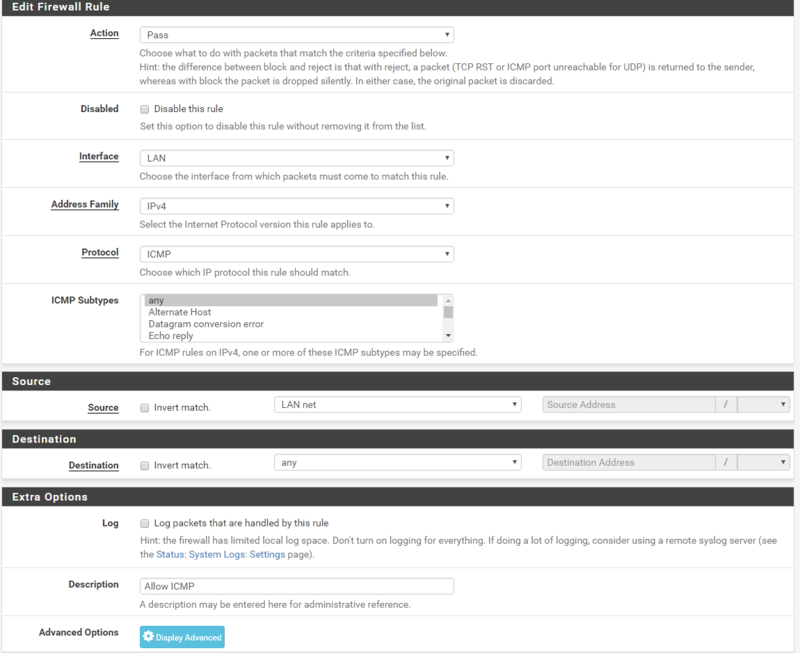 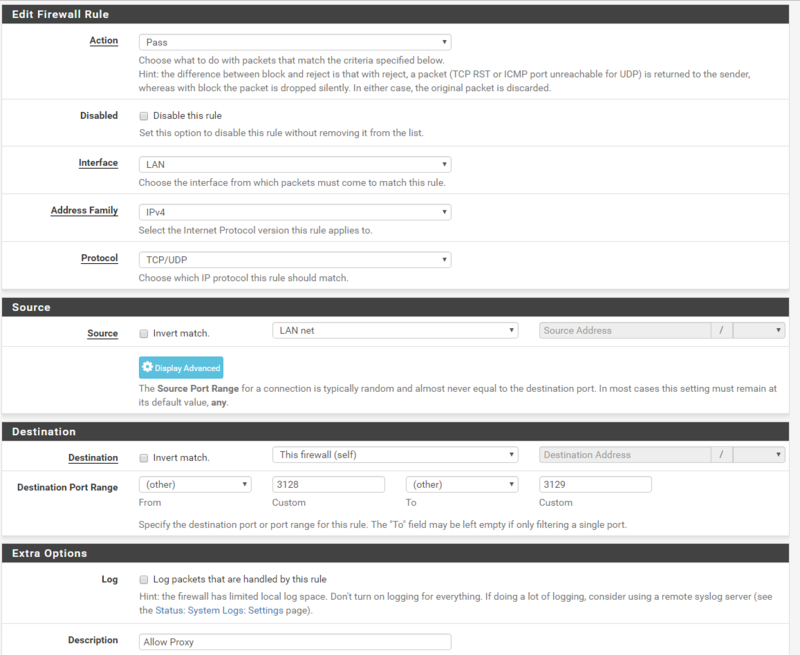 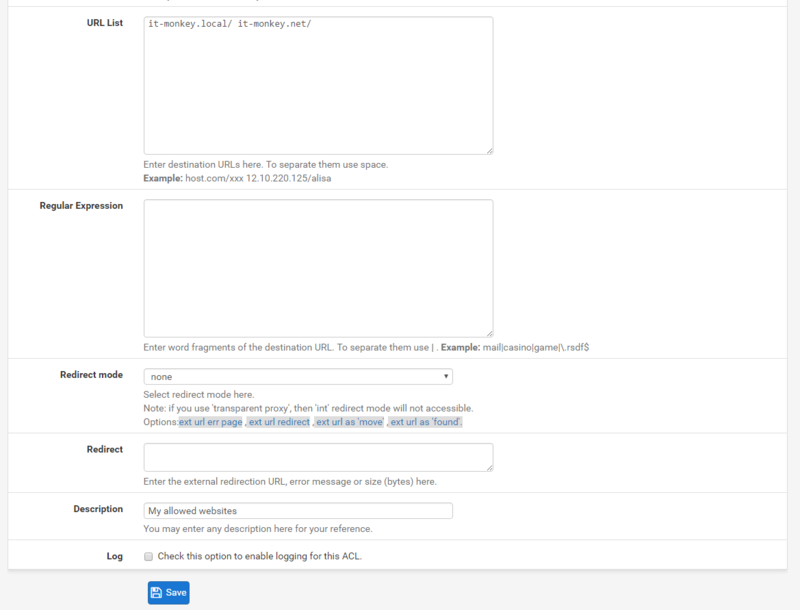 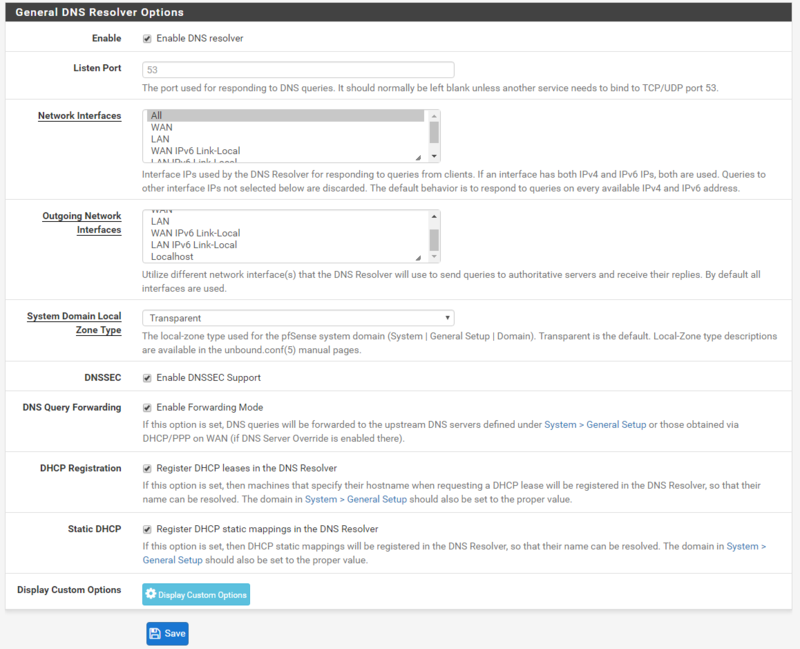 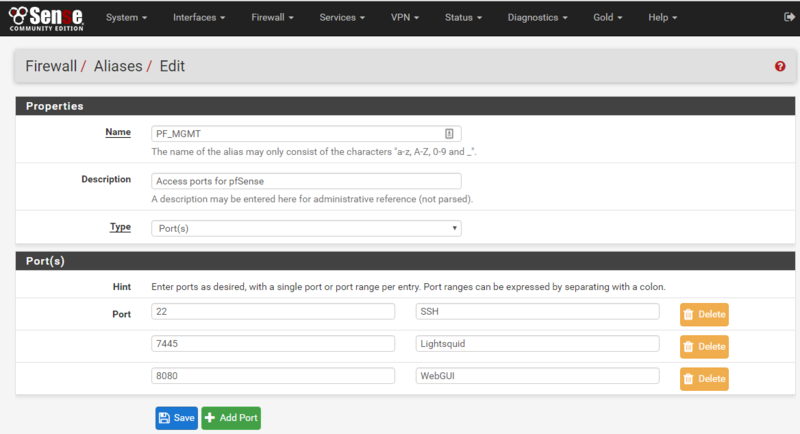 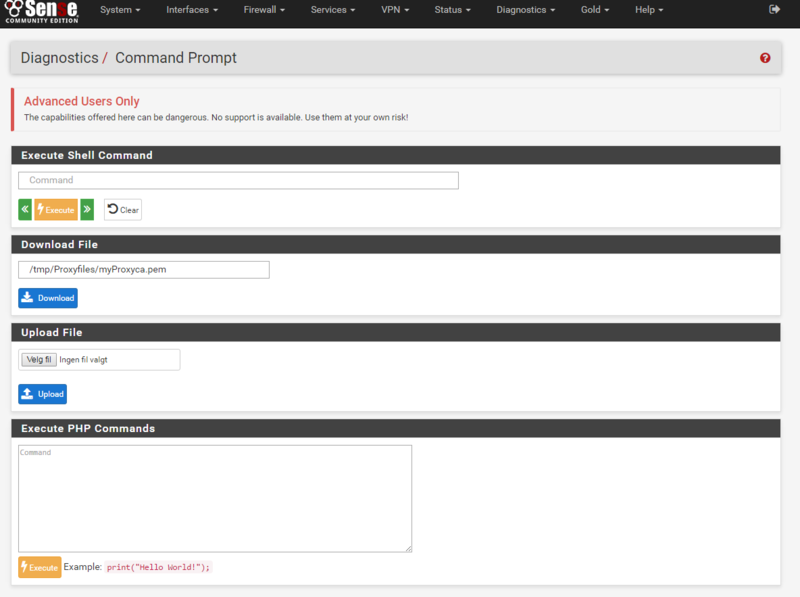 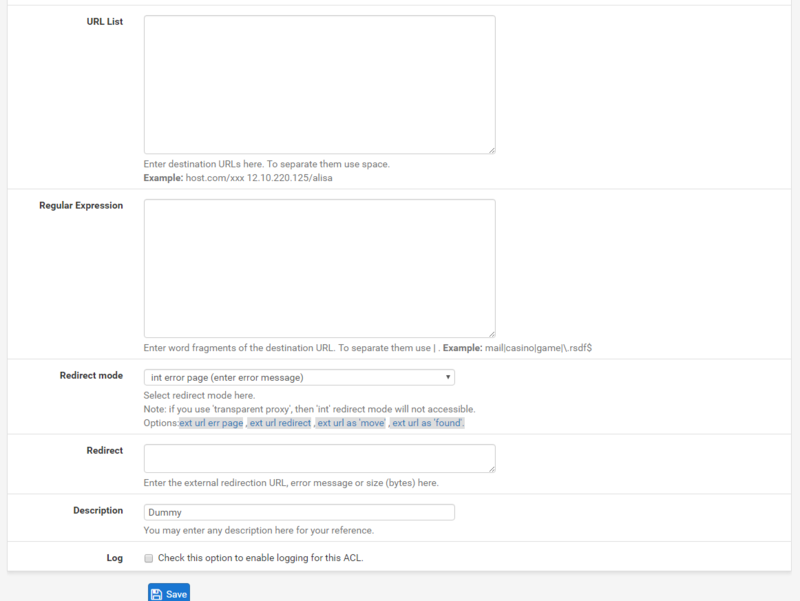 Now we have to setup WPAD and Firewall rules for pfSense to automatically push the Proxy configuration to its client and also who has access to connect and use the internet on your network, I will setup WPAD first since it will only work when pfSense GUI runs on HTTP and not the default HTTPS so it will affect how you configure your firewall rules. 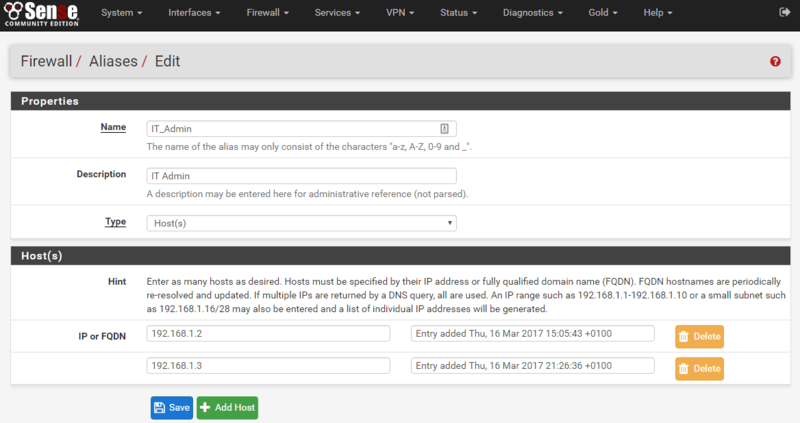 I use Aliases for everything, but if you do not have an IT-Department Alias defined, then just set the source to the IP-Address of your main computer. 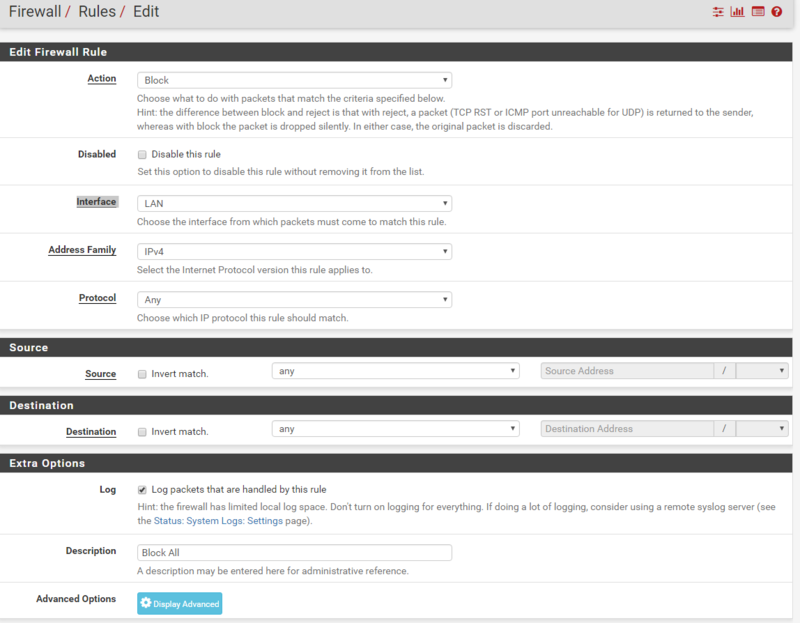 Save and apply, then wait for it to automatically redirect your session to the new port this takes about 30sec or so. 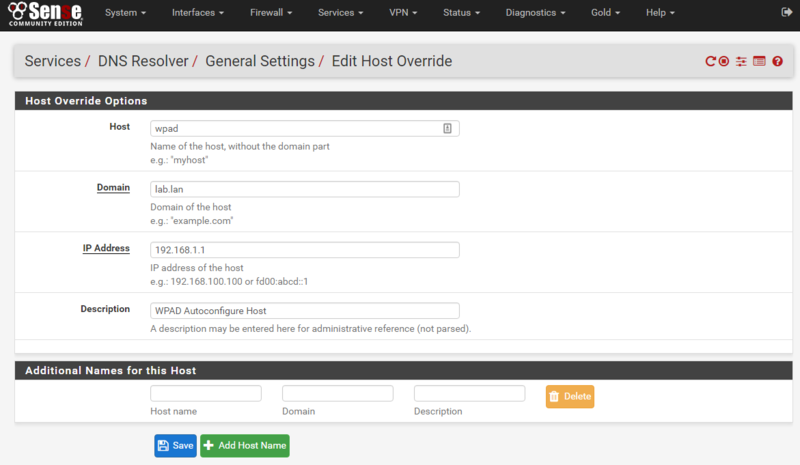 Next thing you need to do is set the DNS Record for WPAD to resolve to the webserver that will be hosting your Proxy settings file, since I will run all of this out of pfSense I use the DNS Resolver service for this, If you want you could use whatever DNS and Web server you want as long as you set it to resolve the correct URL to its correct IP. 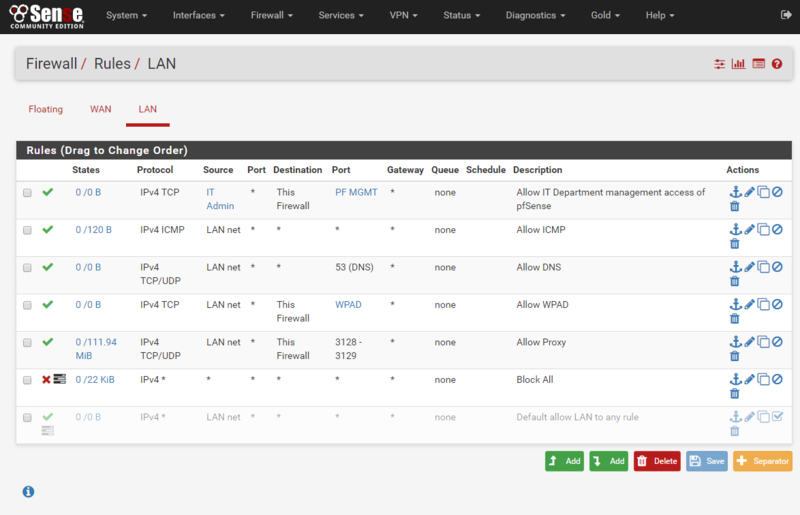 Now that all this is done we are done whit the WPAD configurations and only need to adjust our firewall rules and lockdown unrestricted access of our network. When you have all these rules created and applied then all the pieces are in place and you are ready to test these settings on your client computer, However since you have done a lot of configurations as changes to the pfSense systems and rules I suggest that you reboot it so you clear out any conflicting rule or state stuck in the system memory, that way you would start testing on a freshly booted system and rule set. 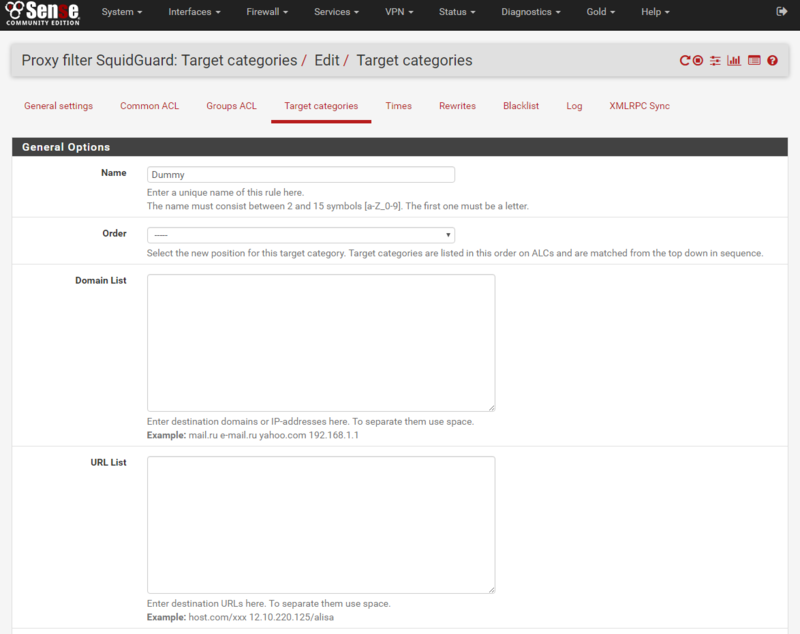 Re: Configure pfSense as HTTPS \ SSL Proxy filter using Squid and SquidGuard!